You’ve probably heard that the US National Park Service is celebrating its 100th anniversary this year. But did you know 2016 also marks a century for North Carolina’s state parks system? Translation: There has never been a better time to get outside in NC and enjoy the tremendous scope and diversity of the state’s public lands, from Mountains to Piedmont to Coast. Below, you’ll find a short list of parks from across the state worthy of deep exploration. But these are just the tip of the iceberg. 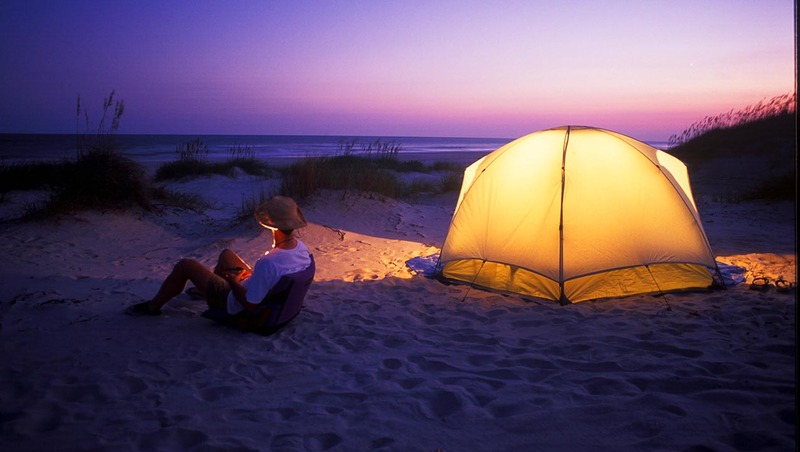 Which North Carolina state or national park will be your favorite? 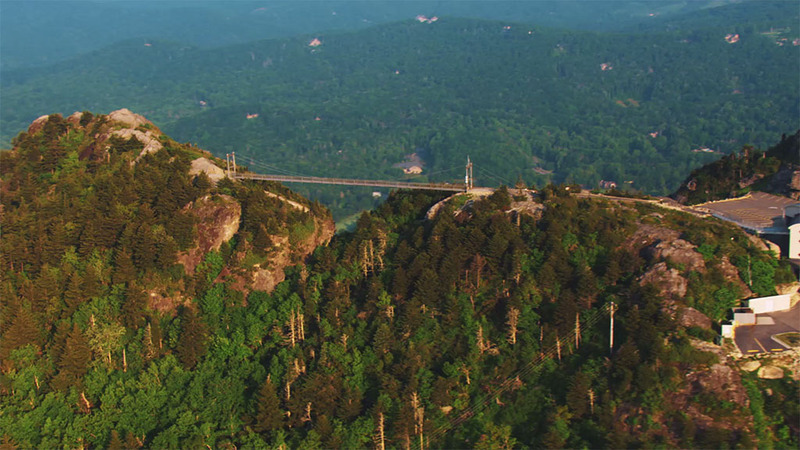 The Mile-High Swinging Bridge joins two escarpments of the Blue Ridge Mountains, offering stellar views below and a hold-onto-your-hat experience. After you’ve gotten over your vertigo, check out the trails and the wilderness exhibits before jumping back onto the Blue Ridge Parkway and going full-circle to the bottom of Linville Gorge. Take the Blue Ridge Parkway just past the Linn Cove Viaduct and you’ll wind up at Grandfather Mountain. It’s a 10,000-acre preserve with half a dozen lakes, waterfalls, prime real estate for hiking and horseback riding, and views so postcard-worthy it was used to film part of The Hunger Games. While you’re there, be sure to check out Bridal Veil Falls and hike to the top of Cedar Rock Mountain for stunning views. Take Hwy 276 out of Waynesville south — but stop before you hit the South Carolina border. The granite monolith that gives the park its name is enough of an attraction in itself. 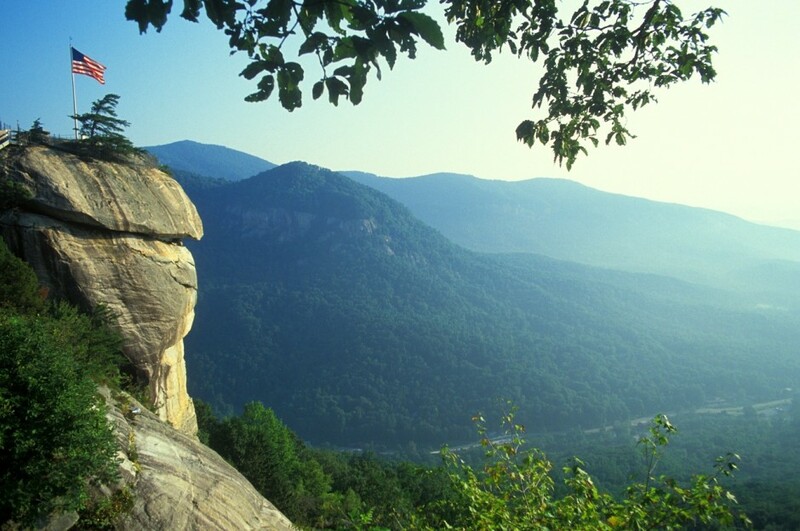 The park is also home to — apart from spectacular views and miles and miles of trail systems — the Devil’s Head balancing rock and a 400-foot waterfall, Hickory Nut Falls. Take 26 south out of Asheville, and then turn east on Hwy 64. 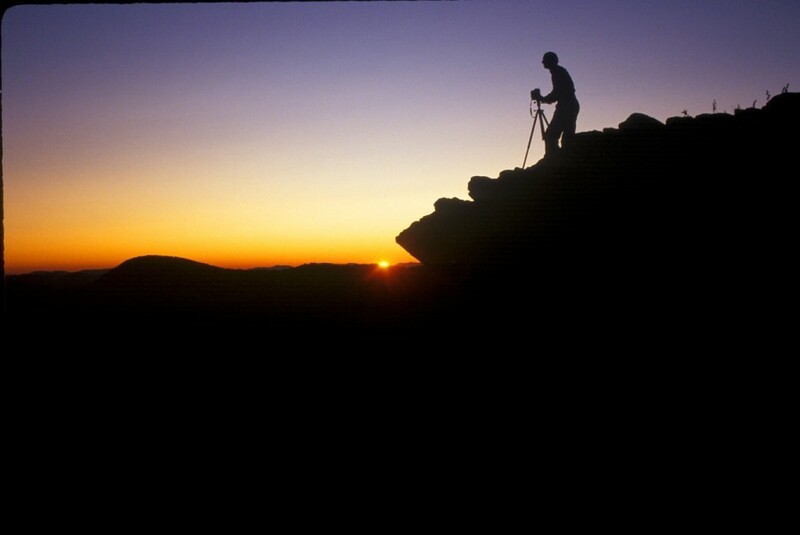 When most people think of North Carolina’s Appalachian Mountains, they’re largely thinking of Pisgah National Forest. 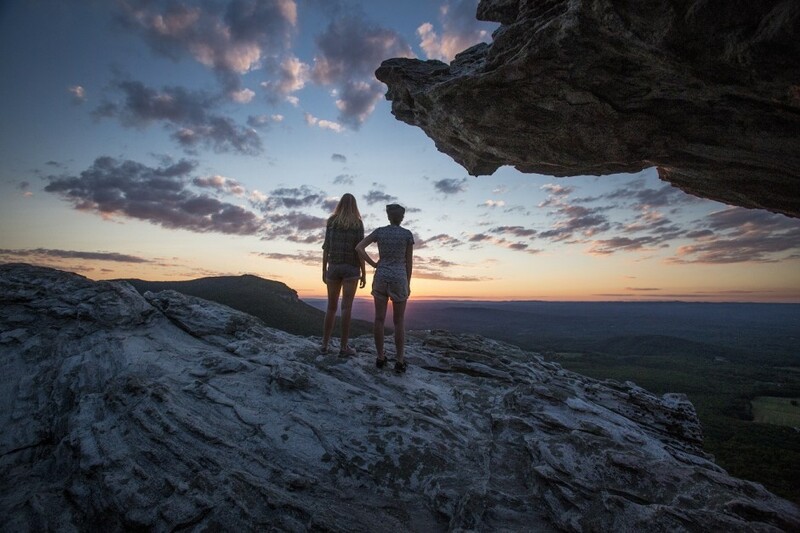 It spans well over 500,000 acres from Asheville to the Virginia border, and includes bucket-list spots like Linville Gorge, Mount Mitchell (the highest point in the East), and sections of the Appalachian Trail and Blue Ridge Parkway. Take 26 north out of Asheville, and turn right on Hwy 197. It’s the most popular national park in the entire country. With over 850 miles of trails, plenty of historical attractions, waterfalls, fishing, scenic drives, and a plethora of other activities to choose from, there’s no wrong way to go about a visit to this national landmark. Take 40 west out of Asheville to Cherokee, NC. Occupying 5,600 acres in central North Carolina, the park is full of hiking, bridle and bike trails. 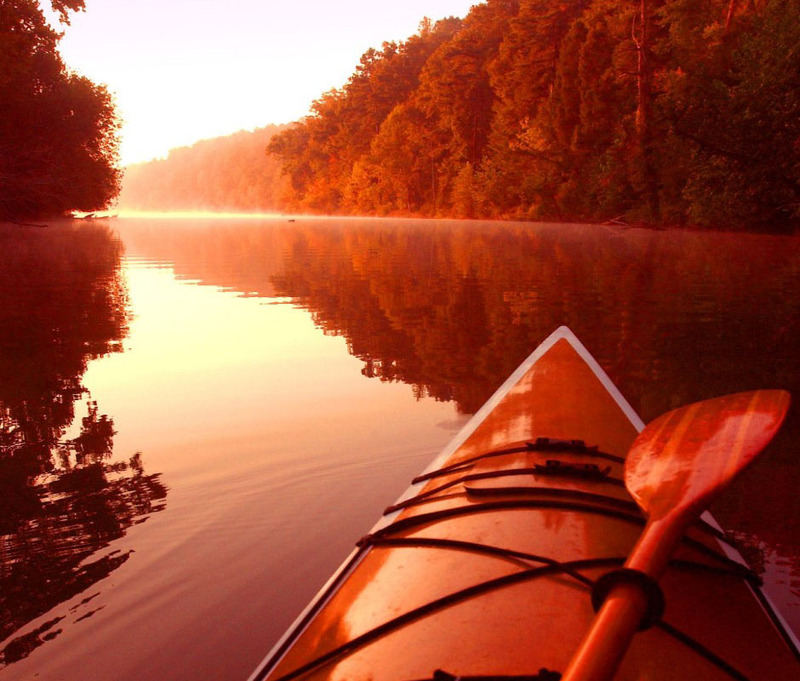 The park is also great for boating on Umstead Park Lake, camping, and picnicking. Use the Reedy Creek entrance (north of exit 287 off I-40) for easiest access — while there are two entrances to the park, visitors to one cannot get to the other. This newly designated 1,400-acre state park is becoming a mecca for both outdoor and educational activities. Traditional options like hiking, camping, and kayaking abound, but Haw River really shines in its educational activities for children and families. Take 220 out of Greensboro, and then turn east onto Hwy 158. The views are as epic as its namesake. 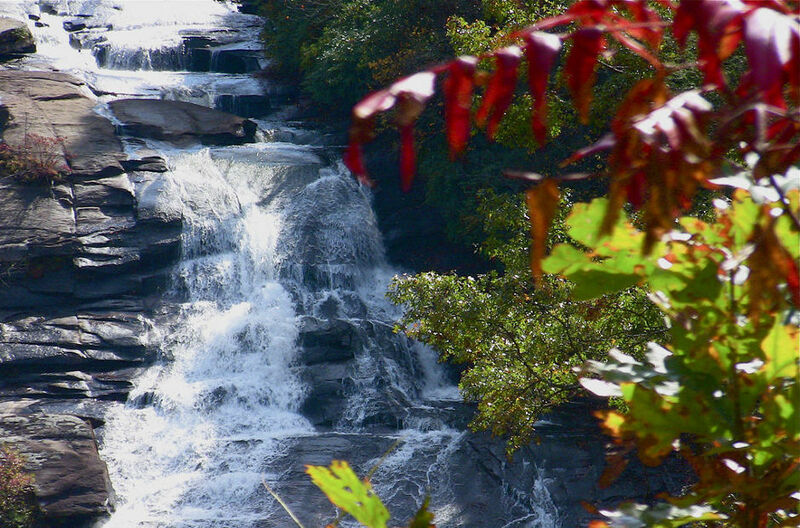 The park as a whole has plenty of trails, peaks, and waterfalls to explore, but the hot spots are Hanging Rock, Moore’s Wall, Cook’s Wall, and the Lower and Upper Cascades waterfalls. From Mount Airy, take Hwy 74 to 268, and turn right on Dan George Road. 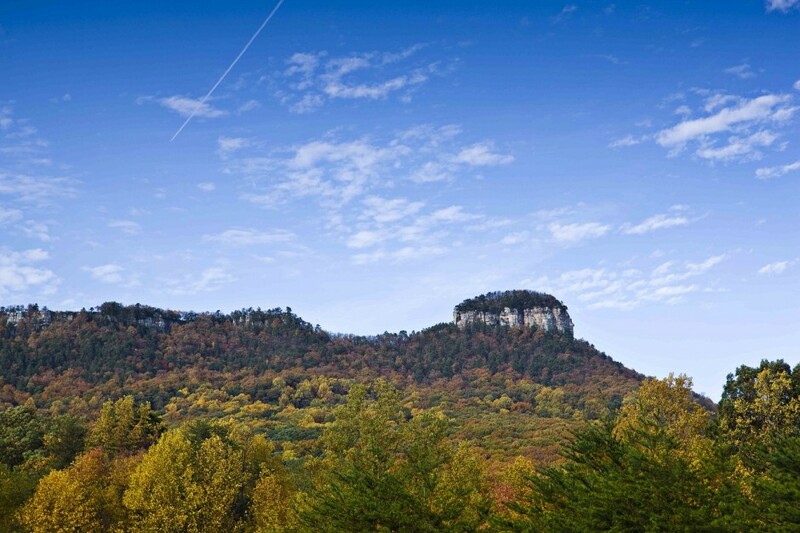 North of Winston-Salem springs dome-shaped and unmissable Pilot Mountain, 2,300 feet into the air. The nearby town of the same name is best known as the inspiration for Mt. Pilot, a fictional location in The Andy Griffith Show. Here not only can you rock climb and hike, but the park also contains the Yadkin River, where you can canoe and fish for 165 unpopulated miles. Take Hwy 52 north out of Winston-Salem. 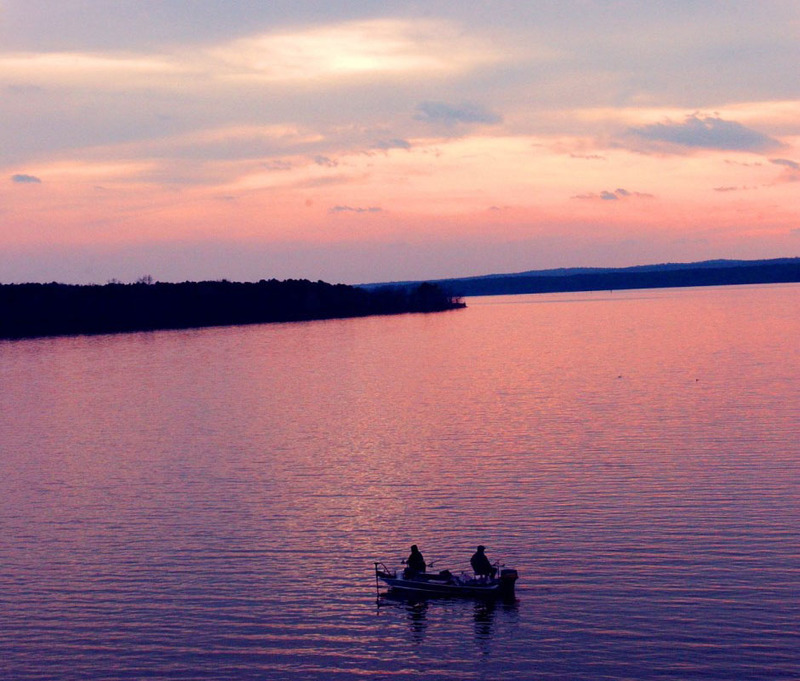 Jordan Lake is a nearly 14,000-acre lake resting in the heart of the state near Raleigh and Durham. Its sheer size means just about anything is doable here, from swimming, boating, fishing, hunting, and birdwatching, to running, hiking, picnicking, and just enjoying the views. Jordan Lake sits off Hwy 64, west of Raleigh. 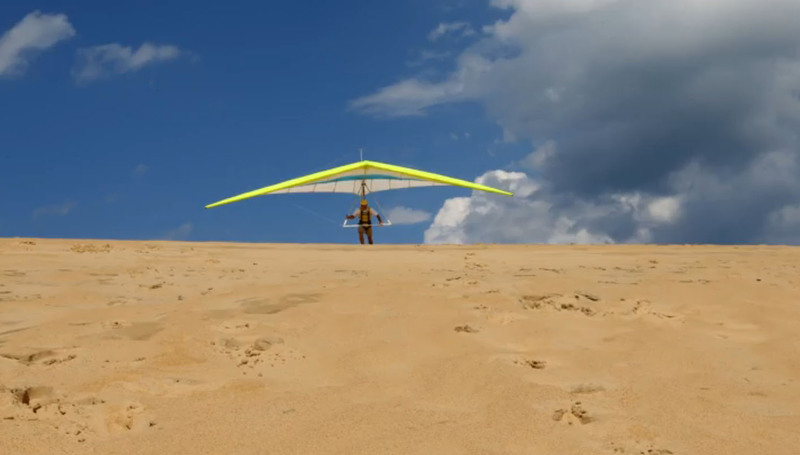 With the tallest sand dunes in the eastern US, it’s no wonder Jockey’s Ridge is one of the most iconic sights along the Outer Banks. The site offers epic kite-flying and hang-gliding opportunities, but bird-watching, hiking, and sunset-gazing are equally as popular. You can get there off of Hwy 158 near Nags Head every day but Christmas. 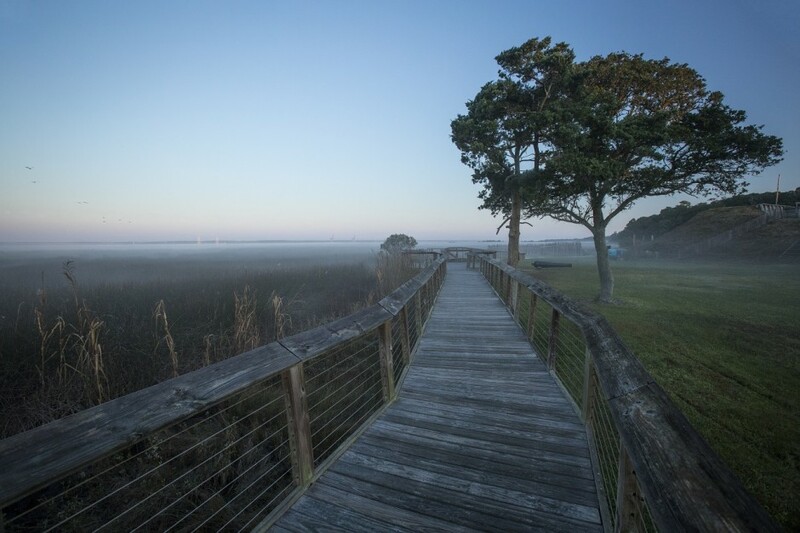 Not only is Fort Fisher a beach, but it’s also an oceanfront pavilion, a lagoon, a Civil War site, and a nesting ground for sea turtles. Wildlife lovers, history buffs, and windsurfers alike can all find something here for a jam-packed weekend getaway. 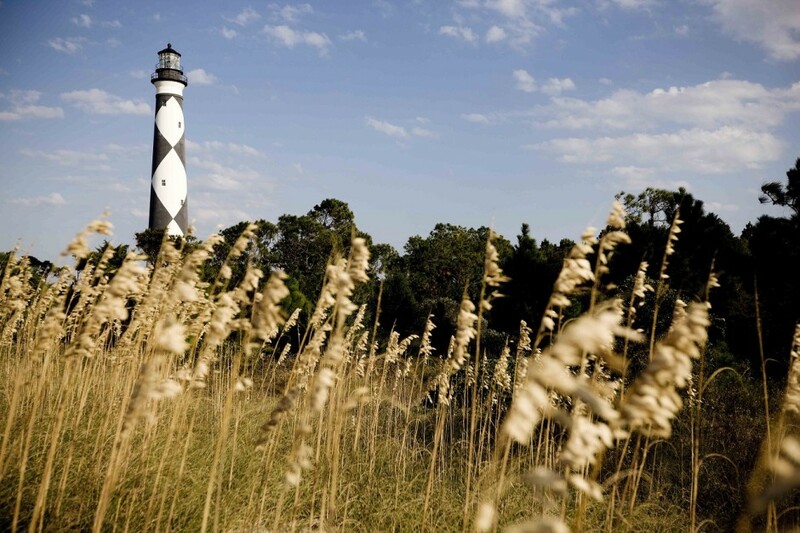 With herds of wild horses and an iconic lighthouse, Cape Lookout runs for 56 miles along the Southern Outer Banks — also known as the Crystal Coast — from south of Ocracoke to Beaufort. The wildlife in the area and the lighthouse are enough to warrant a stop, but from here you can also see the sunrise and the sunset — without moving an inch. Take Hwy 70 out of New Bern and follow it all the way to the Crystal Coast. This untouched swath of land largely located on Bear Island is prime space for kayakers, boaters, daytrippers, and campers. The park is accessible via a short (but winding) ferry ride from park headquarters (off Hwy 24 out of Jacksonville). 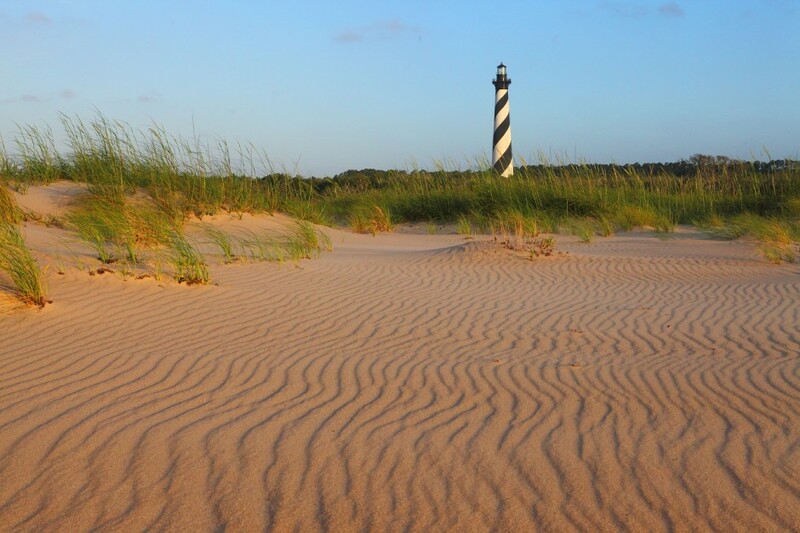 Cape Hatteras National Seashore stretches for 70 unbroken miles along the coastline of North Carolina’s Outer Banks. Its fishing and surfing are considered the best along the East Coast, and it’s also a hot spot for shipwrecks and lighthouses. Take Hwy 64 out of Raleigh to Hwy 12 — an experience in and of itself (you’ll be surrounded by water on both sides as you travel this National Scenic Byway).